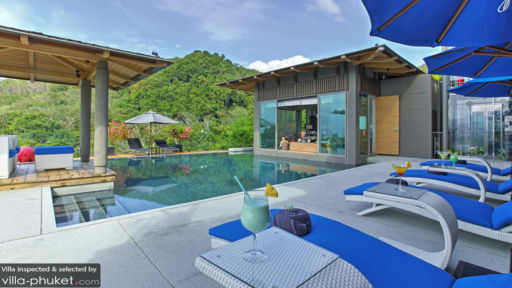 Villa travellers, be prepared to feast on the scenic sight of Phuket’s western coastlines and Bangtao Bay! Enveloped by lush scenery, Villa Love 21 offers guests with unobstructed panoramas of emerald greenery and sweeping seas. 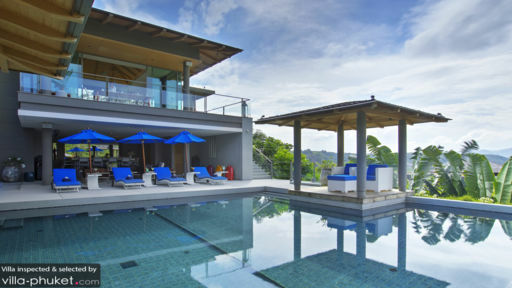 Modern and luxurious, Villa Love 21 is a hidden gem tucked away in a private estate along Layan. This sprawling abode is made up of two separate units: a main house that contains five bedrooms, and a bungalow with two bedrooms. Large groups of friends and families will enjoy gathering in the main house, while the bungalow offers privacy and intimacy for couples seeking a romantic setting perfect for two. Step into the grounds of the villa, and you will undoubtedly be charmed by its myriad of luxe amenities. A beautiful infinity pool sits by the edge of the villa, unabashedly tempting you with its cool, sparkling waters. There is plenty of space for everyone to take a dip in this spacious pool, but we will not judge if you prefer to have a pool all to yourself. Make your way to the bungalow, and you will find a smaller infinity pool located close to it. Guests who are not in the mood to laze about in the pool will find other spots for relaxation, such as the well-equipped bar, outdoor sala or sleek home theatre. Modern and well-furnished, Villa Love 21 does not fail to captivate travellers who traverse into its compounds. The contemporary interiors are decked in a pleasing palette of muted colours. Wooden panels pave the floors, and large floor-to-ceiling glass panes draw the eyes out to gaze at the picturesque surroundings. Cosy up on the plush couches sitting in the living areas, or lay back against the brightly-coloured sunbeds lining the outdoor terrace. Arrive punctually at the dining area for your meals, for a spread of delectable Thai and international cuisine awaits. All seven bedrooms in Villa Love 21 promises to offer a comforting environment for rest and relaxation. Plump, pillowy beds and pretty ornaments adorn the rooms, and sliding doors lead out to a private terrace offering breathtaking views of the surrounding scenery. Guests are spoilt for choice during their stay at the villa. Occupying an excellent spot, it takes a mere five minutes to arrive at the beach. Vacation makers seeking a night of fun and revelry can take a quick drive out to Laguna Beach to explore its variety of bars. Be sure to fill up with a satisfying meal at one of the popular restaurants lining the street before the party starts. Other sites located within the vicinity include the Ao Po Grand Marina, Laguna Golf and Central Festival mall. This villa is the best one I have stayed in. The service, the food, the view, everything is just perfect. We love villa 21! .We love Phuket. Celebrated my wedding at villa Love 21 and spend 5 nights relaxing and spent time with loved ones. It was a perfect location, very quiet and private. We feel like we are so far away but we are really that close to almost everything even the beach. The staff were amazing and always helpful. They know exactly what we need. We all miss them and hope to return soon for another holiday. We can never forget how the staff took care of us during our stay at the villa. They are all exceptional that I want to take them all back with me back home. The villa itself is amazing with really beautiful surrounding of the nature. 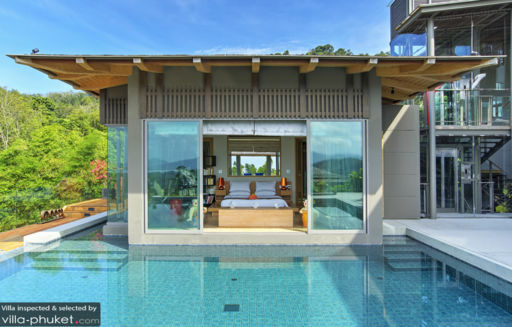 I will absolutely recommend it to anyone seeking for a luxury retreat away from the crowd of Phuket. All of my family members and friends who stayed with us at the villa are looking forward to return soon.